The 7th Annual Providence College Undergraduate Research Conference on Health and Society is a great opportunity for advanced undergraduates who are engaged in significant writing projects. This interdisciplinary conference welcomes paper proposals from all areas of inquiry that address topics related to health, health care, or health policy, including Anthropology, Biomedical Ethics, Community Health, Economics, Health Care Management, Health Policy, History, Literature, Political Science, Public Health, and Sociology. Abstracts are peer reviewed on a competitive basis by a joint student-faculty selection committee. Accepted participants orally present their research on a panel moderated by a faculty discussant. Additionally, all participants will have the opportunity to publish their work through PC’s Digital Commons. 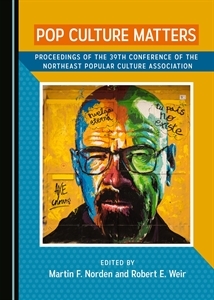 Examples of papers from past conferences can be viewed athttp://digitalcommons.providence.edu/auchs/. Inquiries and 250-word abstracts should be submitted via email topchealthpolicyconference@gmail.com. Abstract are due January 30, 2016.The 7th Annual Undergraduate Conference on Health & Society at Providence College will be held on Saturday, April 16, 2016.